Given the economy, the number one question I’ve gotten lately from people is whether to go to Europe. It’s true that many people will put off their trips for another time. But millions of globetrotters—who see exploring our world as a way of life—will find a way to keep on traveling. Let’s be honest. Europe is expensive. Prices are high for locals—and for Americans. Yet regardless of the soaring cost of living, Europeans remain experts at living well. 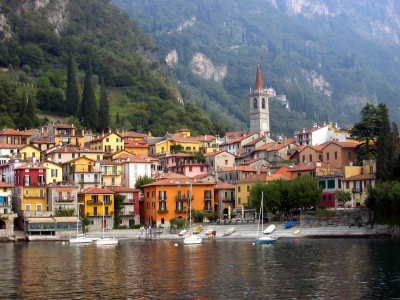 Even those who don’t have much money manage plenty of “la dolce vita.” And savvy travelers can join them on the cheap. The best travelers are not those with the thickest wallets, but those with a knack for connecting with locals and their culture. Match your hobbies with a local in Helsinki’s “Meet the Finns” program—and suddenly, you’re searching out classic comics at the flea market with a new local friend. Even in London—Europe’s priciest city—you can have a world-class experience for next to nothing. In Italy, to see Michelangelo’s “Last Judgment,” Leonardo’s “Last Supper,” and Botticelli’s “Birth of Venus,” it will cost you about $50; but in London, seeing the Tate Gallery, British Museum, and National Gallery won’t cost you a pence. And when the seats at London’s Royal Albert Hall are sold out, standing-room spots are often available. Budget travelers need to know their money-saving options, and take advantage of them: Ride the shuttle rather than the taxi in from the airport (saves $40 in Vienna). Order a carafe of house wine instead of a bottle of fine wine (saves $20 in Rome). Choose a two-star hotel rather than a three-star one (saves $60 per night in Paris). Buy the transit pass rather than individual tickets. Buy a scratch-off phone card at a European newsstand for calls home, and you’ll pay pennies rather than dollars per minute. When you travel, time really is money. (Divide the complete cost of your trip by your waking hours in Europe, and you’ll see what I mean. My cost: $15 per hour.) Don’t waste your valuable time in lines. I queue as little as possible. In Europe’s most crowded cities (especially Paris, Rome, and Florence), easy-to-make reservations and museum passes—which pay for themselves in four visits—let you skirt the long ticket-buying lines. If it costs $1 to use your cell phone to confirm museum times, but it saves you trekking across town to discover the sight is closed, that’s a buck very well spent. And sometimes, calculated “splurges” save both time and money: A taxi ride split by four people can cost less than four bus tickets. When choosing a restaurant, look for small “mom and pop” places filled with enthusiastic local eaters. If a short, handwritten menu in one language is posted out front, that’s a good sign. Daily specials and early-bird dinners let you dine well for under $25 anywhere in Europe. Eastern Europe is both a fine value and a new frontier for many travelers. While hotels are nearly as expensive as in the West, other items are a relative steal. A mug of Czech beer—the best in Europe—costs $2 (versus $6 in Britain or Ireland, or $8 in Oslo). A ticket for Mozart in a sumptuous Budapest opera house runs $20 (versus $60 in Vienna). Your biggest budget challenges are accommodations: Hotels are pricey just about everywhere in Europe. But, equipped with good information, you can land some fine deals—which often come with the most memories, to boot. If you’re willing to “rough it,” consider the Norwegian YWCA in London, a renovated jail in Luzern, or a summer-only circus tent in Munich. Be open to new experiences. Join the Scotsman who runs your B&B in a game of lawn bowling, the Frenchman who runs your pension in a game of “petanque,” or the Greek who runs your hotel for a game of backgammon. When I reread my past trip journals, I’m always impressed by how often the best experiences were free. Even more important than saving you money, these tips bring you rich experiences that become indelible memories … the kind of souvenirs you’ll enjoy for a lifetime.